Andaz Maui at Wailea is a hotel that is set to open during the summer of 2013, located on Maui's premier Southwest coastline. Currently, 15 acres of luxury maui real estate beachfront property have been set aside for the development of Andaz Maui at Wailea which will be located on Mokapu Beach in the Wailea area. The area is home to a number of different resorts, and vacation destinations. Andaz Maui at Wailea will be designed to be a luxury resort, Wailea community, which boasts a 1.2 mile long beach area with yellow sand, as well is a range of different restaurants and shopping centers for vacationers. Andaz Maui at Wailea will be the first Andaz Maui resort opened, and will be designed by the famous architectural firm, the Rockwell Group, a group that has a lot of experience designing resorts throughout Hawaii, with an attempt to capture the Hawaiian culture and the spirit of the islands. Andaz Maui at Wailea strives to create an experience that is not overly complicated, yet remains unpredictable for your average visitor. Other Andaz resorts are widely known for allowing visitors to enjoy a high-quality experience, and quick and reliable service from the staff. The resort will be LEED certified upon its opening, and will work with the public to establish a creative atmosphere for the resort and surrounding businesses. The resort will have a total of 297 rooms available for rent, including suites. There will be a total of seven luxury villas that are available, each of them having between two and four bedrooms. Andaz Maui at Wailea will also focus on dining, with the installation of to restaurants, and a number of other small venues surrounding the pool that will allow you to enjoy the highest quality Hawaiian food and beverages. Also included in the resort will be in nearby retail market, allowing you to pick up groceries and supplies on your trip. The spa at Andaz Maui at Wailea will have a total of 10 different rooms that are available for treatment, and a private adult pool in which children are not allowed to enter. Also included in your stay is access to the fitness center, with a wide range of different machines that are available, allowing you to exercise and maintain your shape, even while you are on an extended vacation. The outdoors will be quite roomy, and will feature four different cascading pool areas, complete with waterfalls and leads straight onto the beach. Nearby, guests will have the ability to access a number of golf courses, and tennis clubs, that are meant for resorts use throughout the area. 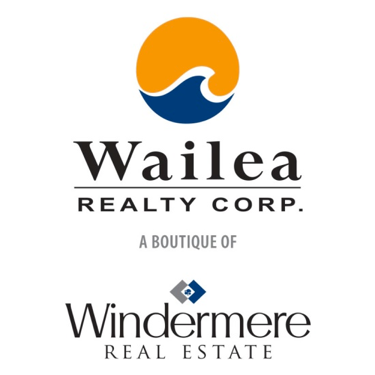 Near by golf courses include Wailea Blue and Wailea Emerald. The resort also has deals with local businesses that offer water sport equipment rental, for surfing, wake boarding, jet skiing, in a variety of other water sports. Also available are a number of tours to various areas on the island. 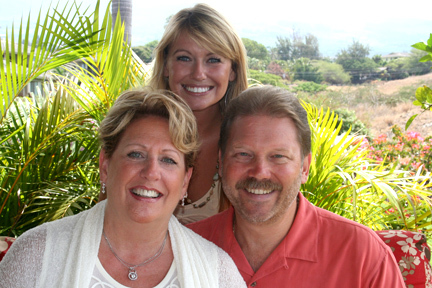 If you are looking for a hiking excursion, cultural toward that allows you to become more familiar with Hawaiian culture, and get a deeper understanding of the area in which you are vacationing. Also announced for Andaz Maui at Wailea, is the inclusion of a new high quality restaurant named Morimoto Maui, which will be overseen by renowned chef Masaharu Morimoto, who has been responsible for the opening of some of the most impressive restaurants that specialize in Japanese and Hawaiian cuisine that the islands have seen, as well as being featured on the television programs "Iron Chef" and "Iron Chef America.". The restaurant will be open daily for lunch and dinner, and will serve a wide variety of different dishes. The resorts will also be available for events, conferences, and meetings. They offer over 15,000 ft.² of both indoor and outdoor space that is suitable for events. The largest studio that is currently available for rent this 4650 ft.² in total. There are an additional five meeting rooms, that have a modern residential style, that are also available for rent if needed. These types of rooms would be excellent for weddings, birthday parties, bar mitzvahs, and other highly important events. Andaz Maui at Wailea strives to allow guests to enjoy the complete Hawaiian experience, getting a taste for the neighborhood culture, without ever having to step foot off of the resort. They offer a wide range of food, beverage, arts and other cultural experiences that can be had directly on the resort, without ever having to venture off. The Andaz Maui Resort is located along Mokapu Beach between Polo Beach and the Mana Kai Maui Resort in Wailea at 3550 Wailea Alanui Drive, Wailea Maui, Hawaii 96753.